a. What is the Selection process of TCS? Please click here to find the Exam Structure and Syllabus of TCS. b. What is the selection process of Infosys? Please click here to find the Exam Structure and Syllabus of Infosys. c. What is the selection process of Tech Mahindra? Please click here to find the Exam Structure and Syllabus of Tech Mahindra. d. Which of the top IT Companies use AMCAT and what is their selection process? Please click here to find the Exam Structure and Syllabus of companies using AMCAT. e. Which of the top IT Companies use Cocubes and what is their selection process? Please click here to find the Exam Structure and Syllabus of companies using Cocubes. 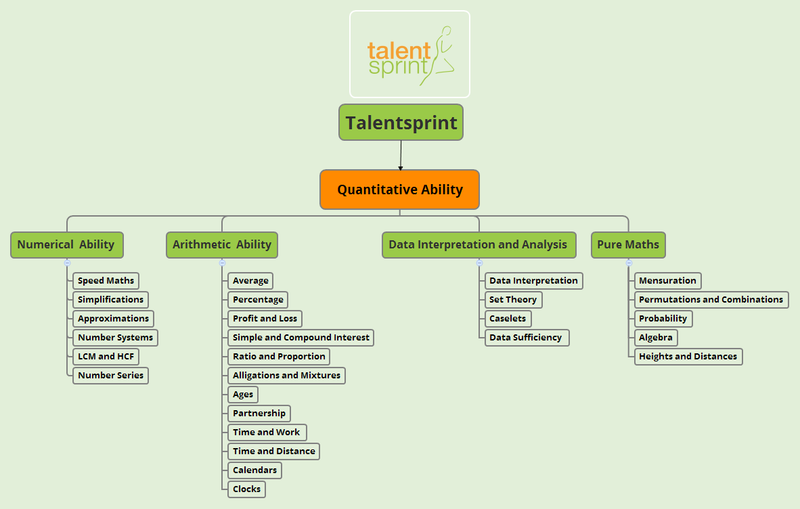 I.Click here to see the Course Mindmap of Quantitative Aptitude for IT Jobs Preparation. 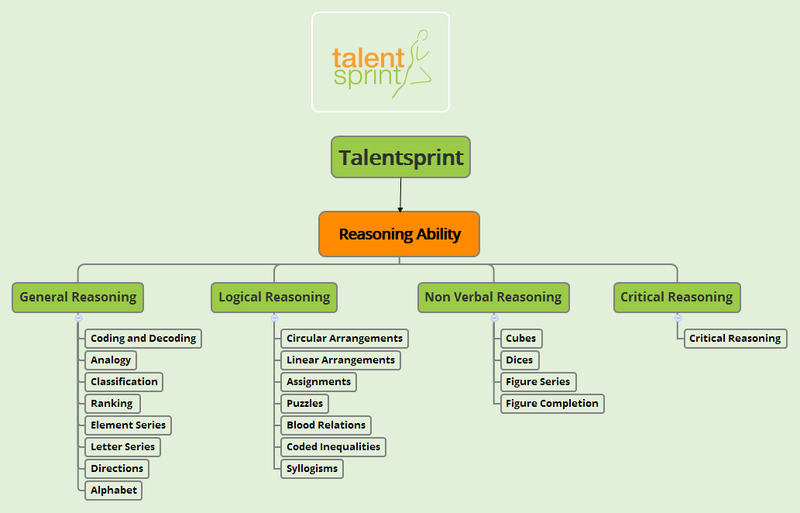 II.Click here to see the Course Mindmap of Reasoning Ability for IT Jobs Preparation. III.Click here to see the Course Mindmap of Verbal Ability for IT Jobs Preparation. IV.Click here to see the Course Mindmap of Industry Orientation and Interview Preparation for IT Jobs Preparation. I. Click on course (Quantitative Aptitude/Reasoning/English/Computer Programming) in which you have missed a LIVE session. III. Click on LIVE Sessions - Doubts Clarification for missed Problem Solving sessions and click on LIVE Sessions - Exam Refreshers for missed Refresher sessions. c. What are the hardware requirements? Any Laptop/Desktop with dual core/Core2Duo, 2GB RAM, VGA supporting 1024x768 (min) and a decent broadband connection is required. d. Can I login to my account from any computer with my username and password? e. Can I download the online videos?